EANM members receive a significant reduction on the registration fee for the annual congress. 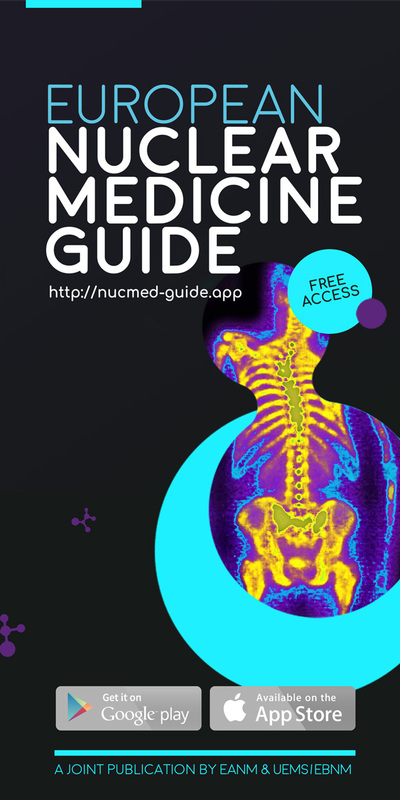 Members have free online access to the official journal of the association, the European Journal of Nuclear Medicine and Molecular Imaging (EJNMMI), on a monthly basis, plus two supplements per year (one is the abstract book of the congress, and the other features a special topic). EANM members have access to Springer’s electronic link system through the members‘ area on the EANM website. As of 2007, an EANM agreement with the Japanese Society of Nuclear Medicine provides reciprocal electronic access for members of both societies to both journals. The aim of the EJNMMI is to provide a forum for the exchange of clinical and scientific information for the nuclear medicine community and allied professions involved in the functional, metabolic and molecular investigation of disease. The EJNMMI is of primary interest to those practising in the field of nuclear medicine but also reports on original work relating to physics, dosimetry, radiation biology, computer science, radiochemistry and pharmacy. Furthermore, the journal publishes in-depth reviews of topical interest, editorial commentaries, occasional surveys, short communications and correspondence. The journal also includes a section featuring the Society News of the EANM. EANM members have online access to the official journal of the association. The EANM website www.eanm.org is the premier source of information about the association and serves as the communication platform for nuclear medicine in Europe. Among other items, it features information on the organisation in general, the educational programmes of the European School of Multimodality Imaging and Therapy, news on the activities of the Committees, scientific information such as guidelines, a job area, EU news and a calendar of events (with the options of online event announcements and application for EANM auspices). All activities regarding congress participation (abstract submission, registration, hotel reservation etc.) are conducted online. A Members‘ Area with access only for EANM members, includes, for example, a ”search for member“ function, an electronic link to the fulltext version of the EJNMMI and latest documents for members. EANM members receive access to the closed members‘ area of the website. Due to its broad membership base, its strong networking contacts, its professional organisation and its scientific strength, the EANM has become a central player in representing the interests of European nuclear medicine towards the EU, governmental agencies and other medical societies. EANM members benefit from the representation of their interests within both the EU and the worldwide network. In order to distribute relevant information rapidly to the membership, e-newsletters are dispatched regularly. Attention is drawn to new features of the website, to updates on the congress and educational activities, and to items of interest regarding EU policies and much more. EANM members receive regular updates on global news.